Magazine, website and app publishing powerhouse Condé Nast has invested in digital advertising company Flite, formerly known as Widgetbox, the NYT reported late on Sunday night. 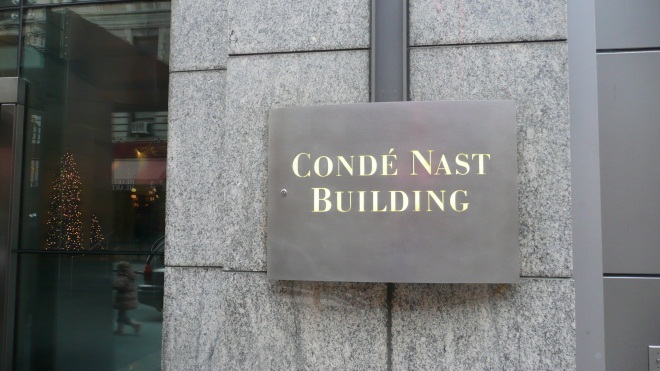 According to the NYT report, Condé Nast has bought itself ‘about’ 11 percent of the business in a deal that will be announced today (on Monday). Other terms of the deal weren’t disclosed. To date, San Francisco-based Flite has raised $27 million in funding from a group of investors that includes Sequoia Capital, General Catalyst Partners, Hummer Winblad Venture Partners and Northgate Capital. The company’s self-service online advertising platform enables publishers and brands to engage their audiences with “differentiated” ad products. The platform serves, updates, and measures digital advertising campaigns in real-time and integrates Web apps directly into ad units. Customers include Condé Nast (ha), P&G, Microsoft, Charles Schwab, LinkedIn and Forbes. Flite was co-founded by CEO Will Price (formerly Managing Director at Hummer Winblad Venture Partners, one of the company’s main investors) and Giles Goodwin, who was previously Chief Portal Suite Architect and Director of Engineering at content management company Vignette. In the United States, Condé Nast currently produces 18 consumer magazines, including Wired, The New Yorker, Vanity Fair and Vogue but also 27 websites and more than 50 apps for mobile and tablet devices. We’ll update this post when the official announcement hits the wires.